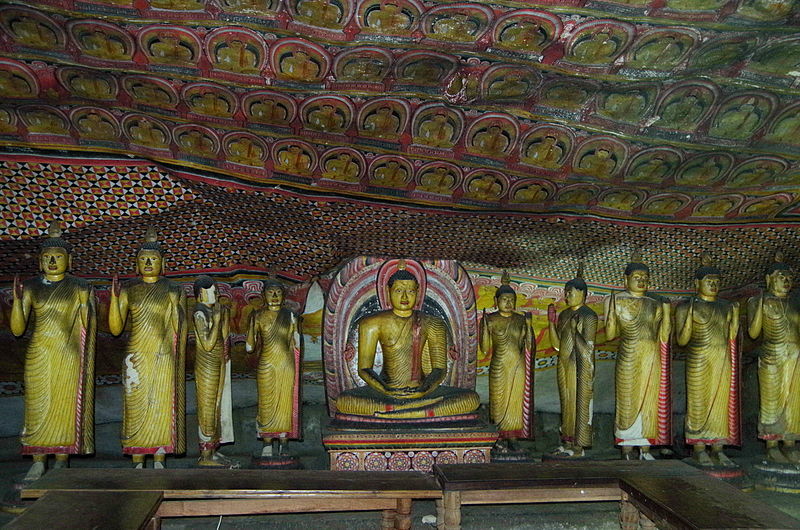 Visit Dambulla cave temple – View Sri Lanka’s evocative religious art! When talking about Dambulla, the first thing that comes to mind is the historic Rock Cave Temple. Many tourists visit this place to spot the magnificence of this temple. Visit the place and enjoy the marvel! A temple on a rock! Located in the Matale district in Sri Lanka, this temple has attracted many a tourist from all around the world due to its rich history and spellbinding design. It is also known as “Rangiri Dambulu Viharaya” and it’s built on a 600 feet high rock. The surrounding area of the temple is truly breathtaking with diverse lush foliage. Once you climb up you will witness the rock of Sigiriya on one side and the plains of Kurunegala on the other! There are more than 1500 paintings of Buddha covering the ceiling. 150 Buddha statues speak volumes about the country’s rich history. These paintings indicate some of the evocative religious forms of art in Sri Lanka. Walking through the caves while viewing these paintings will provide you with an insightful and a memorable experience since each painting has a story! Before commencing your journeys in this part of the country, do take note of the available accommodation facilities. For instance, if you’re staying at one of the many Sri Lanka resorts the likes of Heritance Kandalama, it’s just a 20-minute drive to this temple. You will be astonished by seeing the five caves under a vast overhanging rock! Visit each cave and discover changes in architectural design under the two different kingdoms of Anuradhapura and Polonnaruwa. Previous Post Yala Safari Experience- An untamed world of wildlife!